There may be nothing the North loves more than live Northern Michigan music. 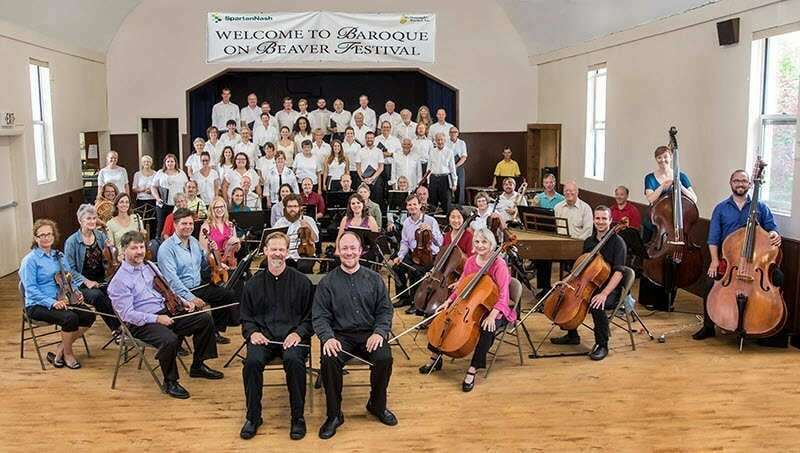 From July 29 to August 7, the Baroque on Beaver Festival Orchestra and Chorus will perform with special guests in Beaver Island’s highlight event of the summer. MyNorth Media entertainment writer Ross Boissoneau tells us more about the Baroque on Beaver music event that puts Beaver Island on the map. When Baroque on Beaver debuted 16 years ago, it was an event by islanders for islanders. Today it’s become so popular that it’s a challenge to find a place for visitors to stay. Last year the music festival attracted some 2,500 people over the course of ten days. “Booking a place has become a problem,” admitted Frank D’Andraia, the chair of the Baroque on Beaver board, though he was quick to point out that it is a good problem to have. One of the ways they are working on it is to publicize the advantages of going to the island for the day. “We’ve been working on day tripping, and it’s worked out really well,” he said. This year’s Baroque on Beaver takes place July 29 through August 7. Performances are by groups ranging from trios to full orchestra, with vocalists and chorus on hand as well. In addition to the scheduled shows, various pop-up concerts take place around the island. The venues (all ADA compliant) are located primarily in and around the historic harbor district in the island’s port town of St. James, and most are a short walk from the ferry terminal. Only two of the events are ticketed, on opening night and the following evening. Both gala benefit concerts feature the trio of May Phang (piano), Aaron Berofsky (violin) and Derek Snyder (cello), performing works by Brahms, Hadyn, Mendelssohn and Arvo Part. All other events are free, though a free-will offering is collected. D’Andraia said one of the most popular shows is the youth concert with an instrument petting zoo. “The youth concert is at the community school. It’s quite popular—the parents love it,” he said. Orchestra members are drawn from many of the major symphonies in Michigan, as well as neighboring Great Lake states. Choral music is also featured and singers, like the orchestra, come from Michigan and adjacent states. Special guests this year are Metropolitan Opera bass Ricardo Lugo and Canadian Soprano Martha Guth. Baroque on Beaver is the signature event of the Beaver Island Cultural Arts Association. It also sponsors a jazz weekend in August (August 19 to 20 this year) for which the association brings in bands from downstate, and a concert in October, this year featuring Three Men & A Tenor on October 1. And while it is geared toward classical music, various other genres have been known to pop up from time to time. “Last year for the benefit concert we did classical and jazz performers together,” said D’Andraia. 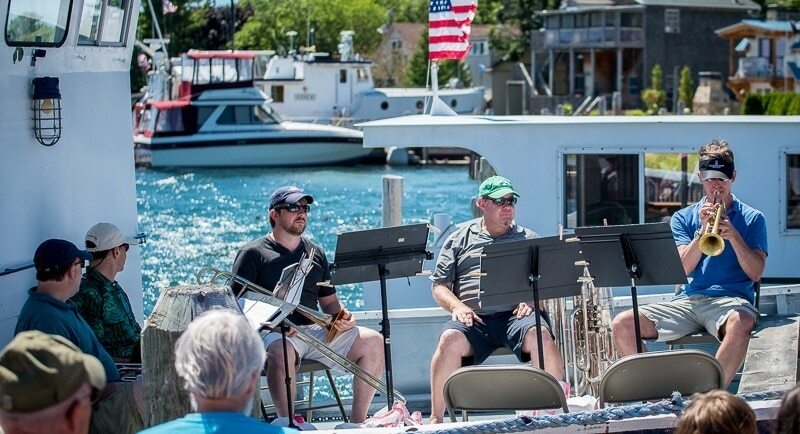 A number of Beaver Island residents and classical music enthusiasts decided to host a concert for their own enjoyment. It took place in the small log chapel of the St. James Episcopal Church. It soon expanded into a series of concerts and eventually led to the creation of the Beaver Island Cultural Arts Association (BICAA), which was formed in 2006, six years after the first Baroque on Beaver concert was performed. The festival always takes place the last weekend of July through the first weekend of August. The orchestra has between 35 and 40 members, with a similar number of singers in the Festival Chorus. Beaver Island is serviced by a ferry and by air. For more information on getting to the island, go to BaroqueOnBeaver.org. All events are by free-will offering, excepting the two Gala Events. Tickets for those shows are $50 each or $75 for both. They can be purchased through the Beaver Island Community Center in person or by phone (231-448-2022).